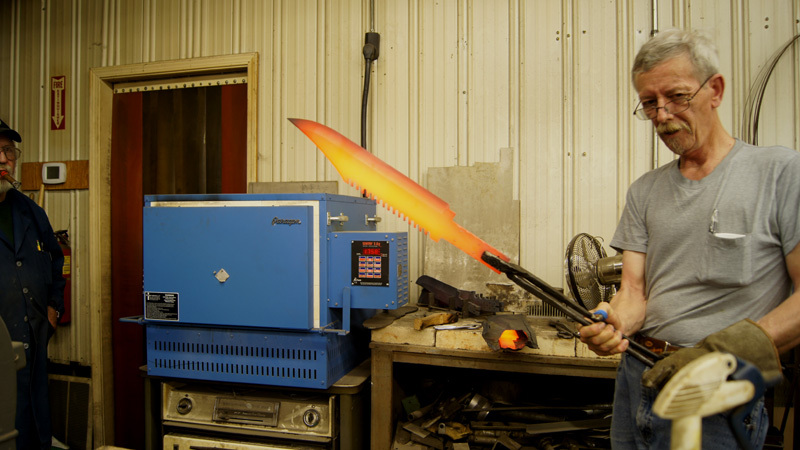 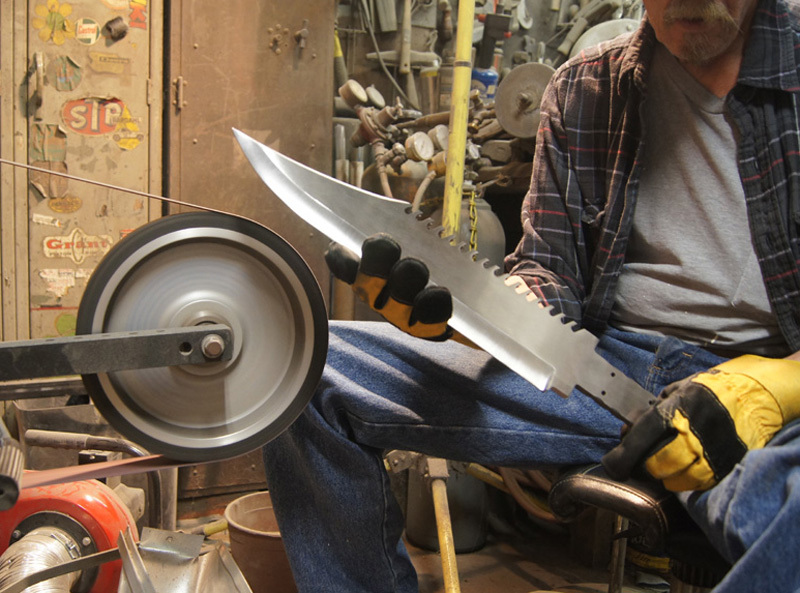 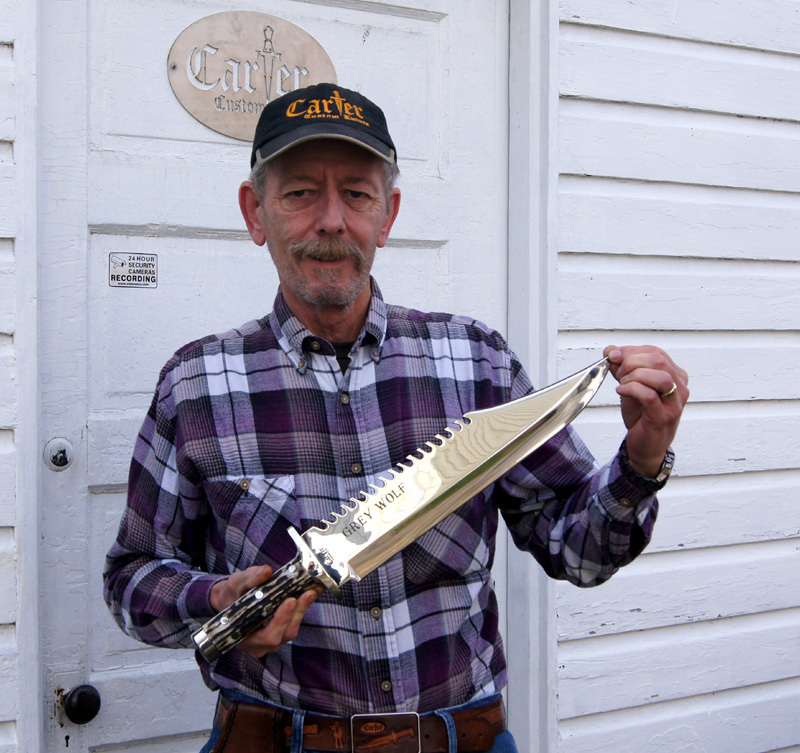 This project was a modification to the biggest blade I make. 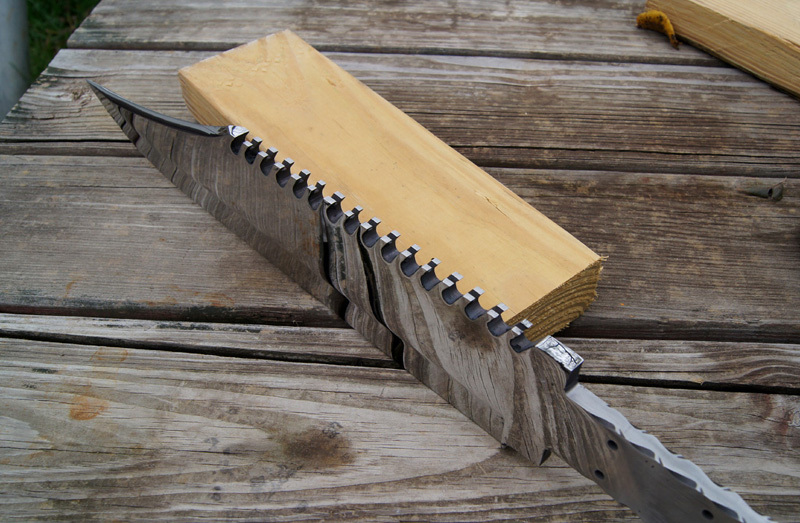 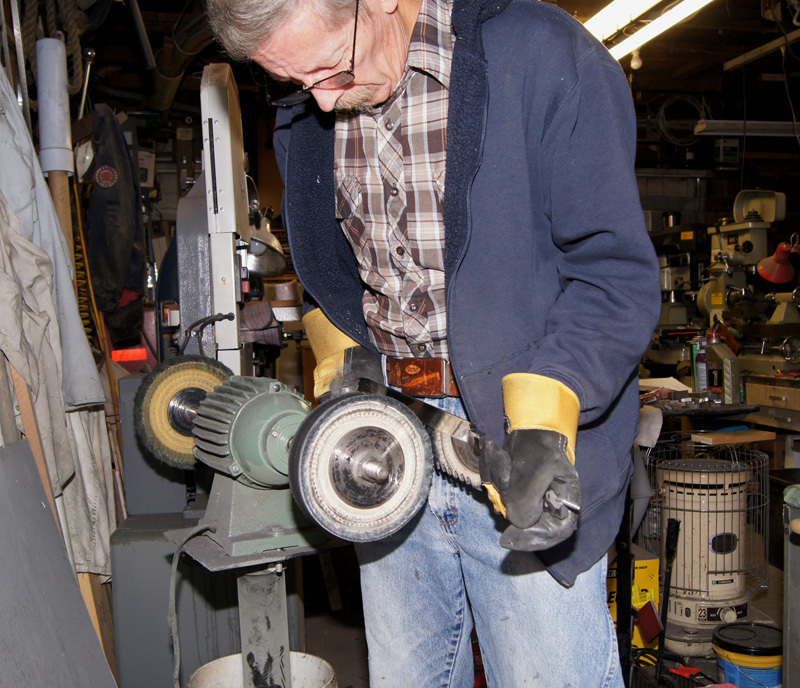 We took the "King Kong" blade and added a double row of saw teeth to the spine. 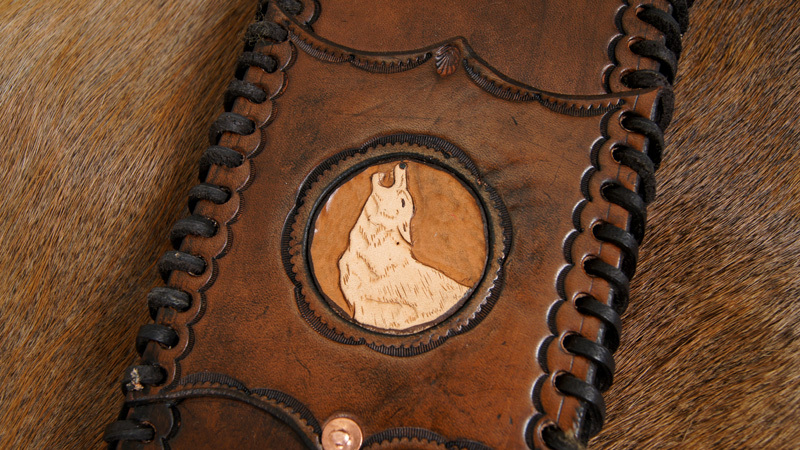 This was a big project and as always, much appreciated. 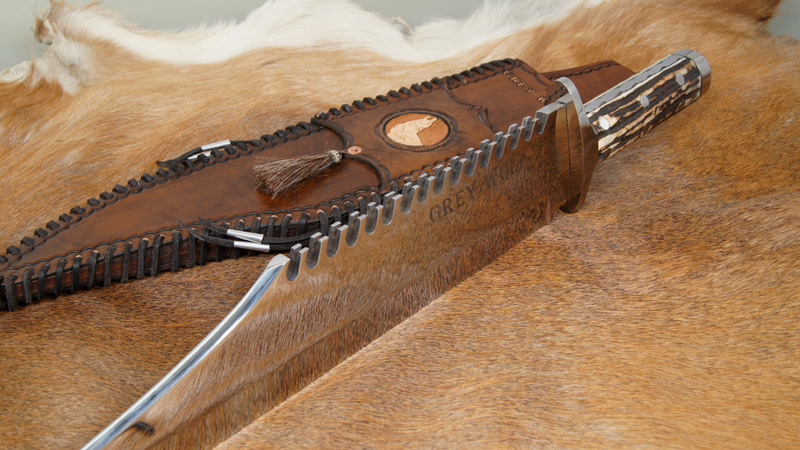 This one-of-a-kind special order has shipped to its new home in north Dakota. 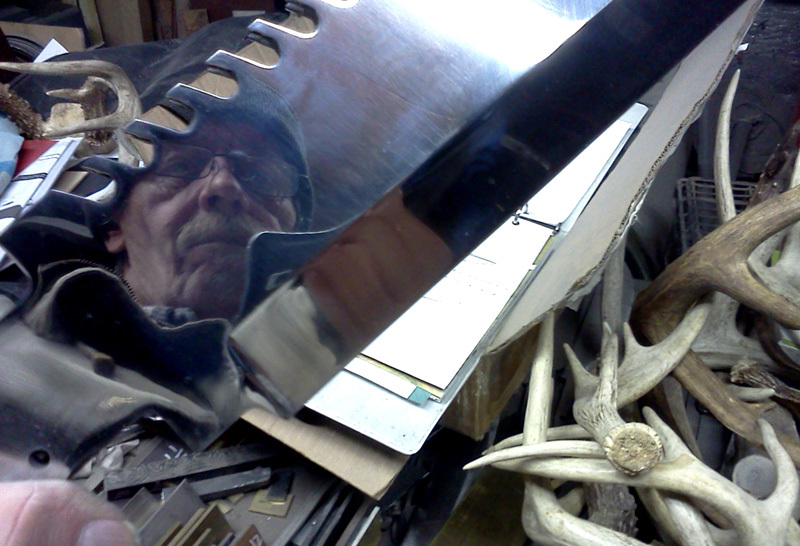 Blade: Mirror polished 440C stainless steel 13" long, 3" wide, 3/8" thick. 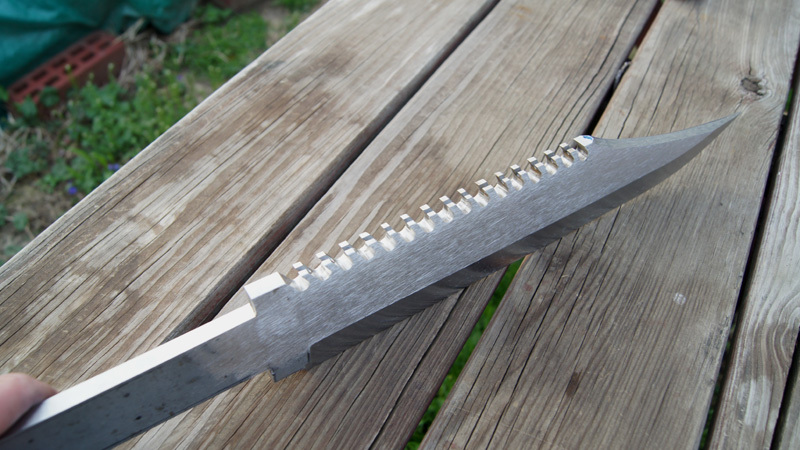 Double row saw teeth, Hollow ground. 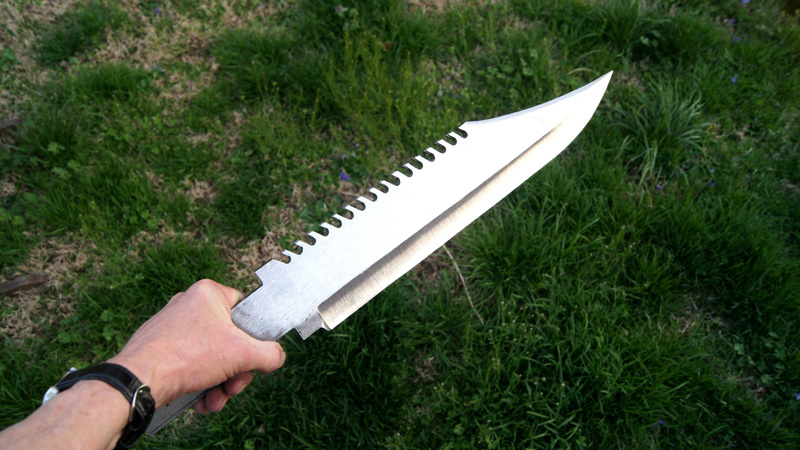 6" clip point. 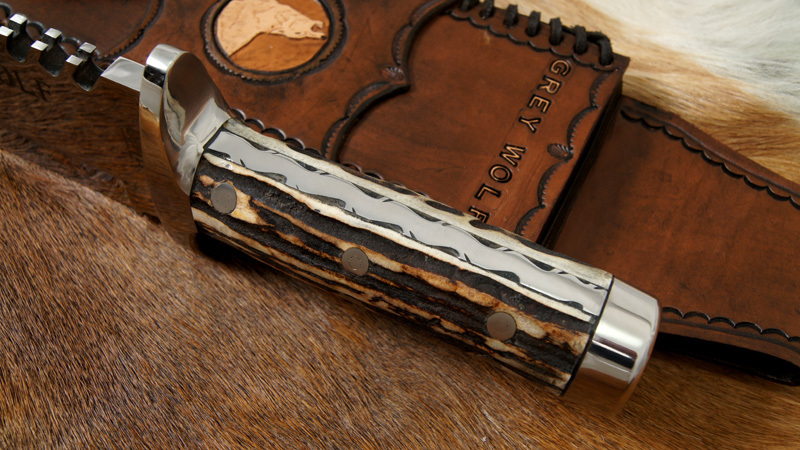 Handle: Sambar Stag attached with 6 stainless steel Loveless bolts. 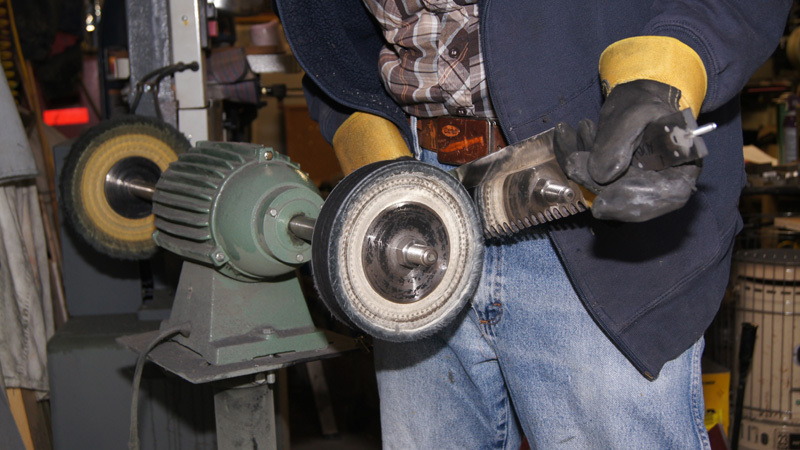 Fittings: Polished stainless steel guard and end cap. 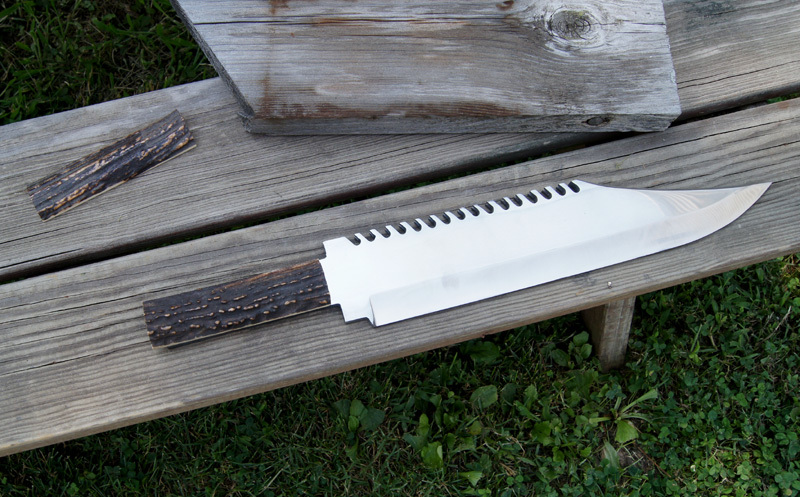 Filework on top and bottom of handle. 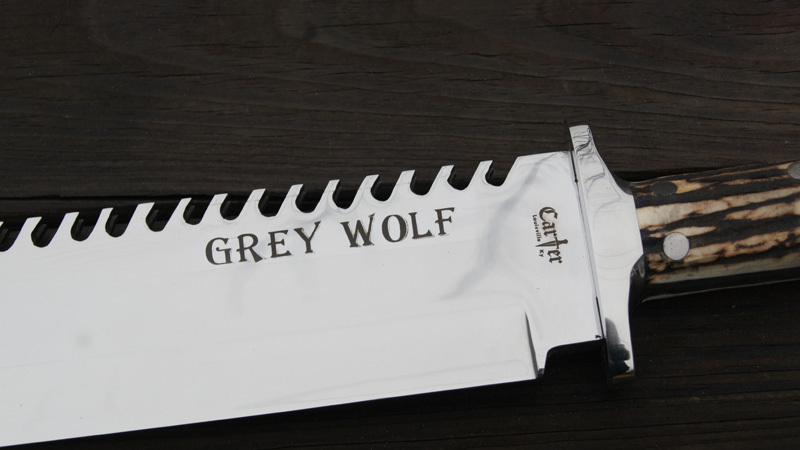 Custom etching. 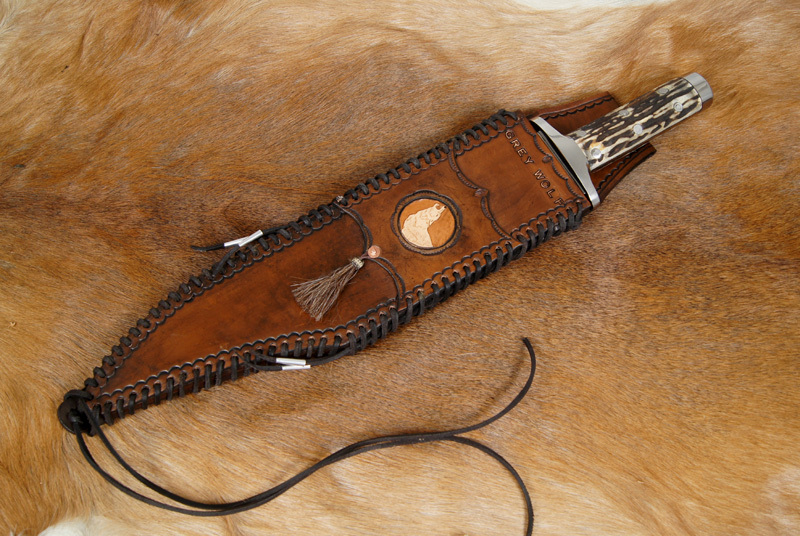 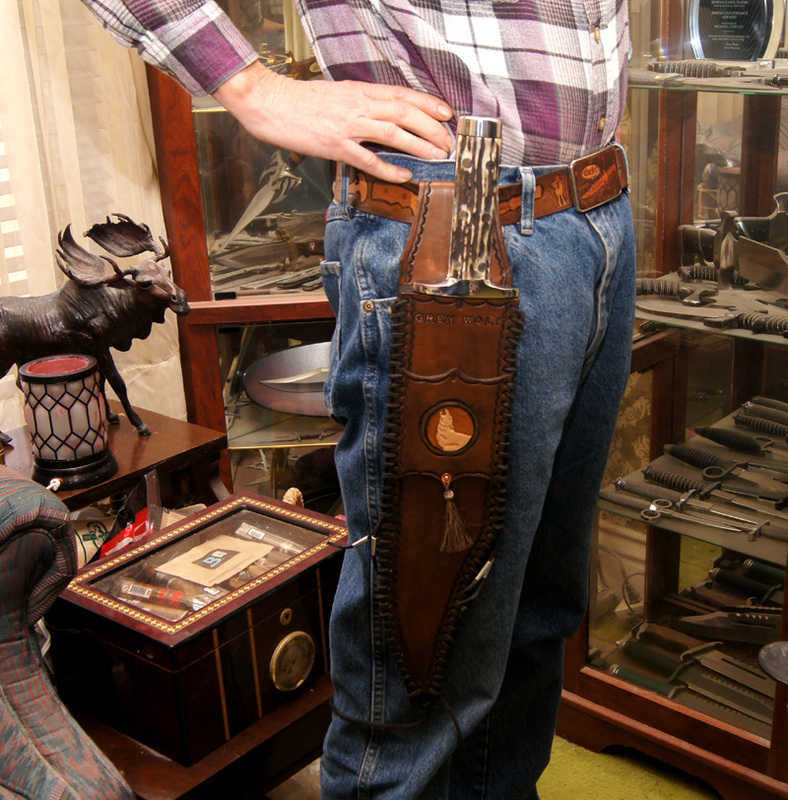 Sheath: Brown top grain cowhide with black latigo lacing, horse hair tassel, and hand carved howling wolf. 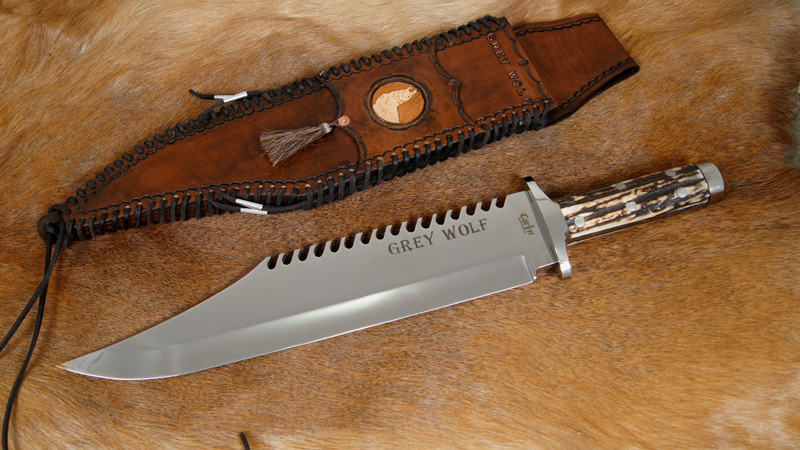 Weight: 4 lb 12 oz (5 lb 10 oz with sheath).